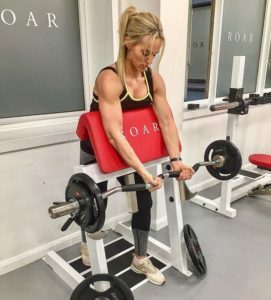 Well as it appears that some of the simplest messages are still being out gunned by the constant onslaught of industry hype, fads and gimmicks; here is a quick reminder of some of the most basic principles to bare in mind when starting a female fat loss journey. First and foremost: a weight training programme is not necessarily going to create a bulky muscular frame. In fact, in the hands of a highly skilled personal trainer it will be a far superior way to lose weight, reduce body fat, drop dress sizes, improve muscle tone, boost metabolism, reduce stress and improve sleep patterns to list just a few benefits. In my experience having a key grasp of the physiological differences between men and women is without question crucial to the clients’ success. However, the real skill for any personal trainer to achieve optimal results is best summed up in the words of the great Albert Einstein “I never let my education interfere with my learning”. It doesn’t matter how many books I read, courses and seminars I attend, the reality is there is no one size fits all approach, but experience has shown me that resistance based training ALWAYS produces better results. The key is to firstly understand the clients ultimate goal, assess their current physical condition, then design and adapt the programme accordingly in response to the physical adaptations that are to follow. What exercises best suite one client may be the exact opposite for another, so the weight training programme MUST be specific to the clients needs and not some generic routine. When applied in the correct fashion the results can literally be quite startling! I’ve worked with hundreds of women who have come to me frustrated with their lack of progress after attending aerobics classes as much as 6 times a week!! (see the perfect example of an old client Louise). Although I’m aware many of you will be very fond of your routine class, ponder this briefly: extended periods of aerobic exercise will send the body into a catabolic state (the breakdown of muscle tissue). As those weeks of training turn into months you can kiss goodbye to that valuable muscle that is helping maintain your metabolism, and more importantly giving your body the shape and tone that most of you will desire. Now you don’t necessarily have to tell the girls you won’t be attending your highly enjoyable and regular aerobics class next week as you have a date with the local grunter’s at the squat rack. However, balance is key, and resistance based training should always take priority over aerobics in order to optimise metabolism and achieve better body composition results. Everyone seeks the Holy Grail that is a lean, tight and toned mid-section, but hundreds of sit ups a day is going to do little if anything to sort out the real problem….FAT! The main focus here should be towards quality nutrition and the possible need for specific supplements to help manage insulin levels and control the stress hormone cortisol. For both of which there is a lot of scientific research to suggest they’re directly correlated to fat stores around the love handles and lower abdominals. Avoiding the usual culprits of processed foods, sugar, aand possibly gluten, would also be a good place to start. Then focus on high quality sources of protein and green vegetables for main meals ensuring healthy fats are included in the form of grass fed beef, oily fish, nuts, seeds, coconut oil, and a high quality omega 3 supplement. For those of you looking for serious fat loss results then I’d urge you to put the spin classes to bottom of your priority list, and focus on a weight training programme that will bring about the changes you really want to see.